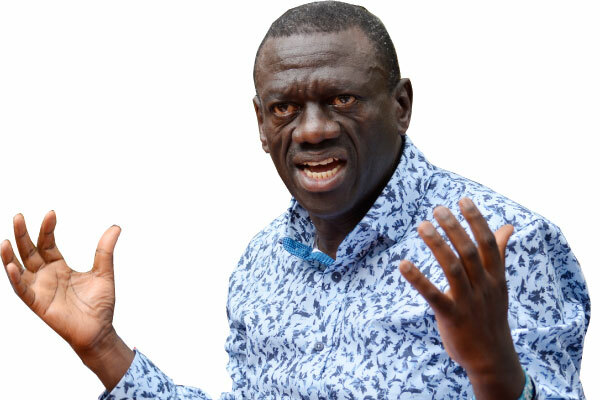 KAMPALA – The new Democratic Party (DP) bloc has accused the Forum for Democratic Change (FDC) party and their former president, Col (Rtd) Dr. Kizza Besigye, of failing the opposition’s plans of fielding joint candidates ahead of the 2021 elections. The DP bloc comprises People’s Democratic Party (PDP) and Social Democratic Party (SDP). The DPD president, Dr. Abedi Bwanika, said whereas they and other parties have resolved to unite and work together ahead of 2021, they are receiving mixed signals from FDC and Dr. Besigye. “We have heard that FDC is not ready to join the coalition, giving weak reasons that they still have unresolved issues about 2016 election. We are telling them that the people of Uganda have demanded us to work together and it’s the only option. Therefore, we must sit together and talk sense to them so that they must listen to the voice of people of Uganda,” he told journalists in Kampala on Tuesday. Dr. Bwanika added that FDC has been going it alone against the ruling NRM for many years and it has not worked. “We want to call them to their senses that this time the people of Uganda desire a change. This time people of Uganda are not going to accept that confusion, Dr. Besigye must listen and accept the option of Ugandans if he does not, is going to holder himself dead in the politics of this nation,” he said. “The people of Uganda are going to take a stand on who is a candidate if is Dr. Besigye I rest my case but if he is not the one he must give space to the candidate who is nominated by the people of Uganda,” He added. Dr. Bwaniika added that Dr. Besigye is the one who laid the Local council structure that he alleges President Museveni uses to rig elections all the time but said he cannot continue to blame him. “We want to be focused and not to be diverted by Dr. Besigye, we want to call him to his senses,” he added. DP spokesperson Kenneth Kakande said that political leaders do not have the luxury to choose to whether to work together or not to bring change in the country. “We do not have that luxury because Ugandans of all nature and political tendencies are demanding from us to do it and quickly, therefore if FDC is saying it’s not yet time, we are saying we are going to approach them as we have been and keep on knocking their doors,” he said. Mr. Kakande insisted that they have to tell FDC that they need to work together to bring change in this country, with whatever strategy because this struggle is not about political parties instead it’s about the people of Uganda. “When went to court in 2006, Mr. Bwaniika went on and signed an affidavit to endorse the elections of Mr. Museveni, saying there was nothing wrong with him, therefore, Mr. Museveni was the rightful president,” he said. Mr. Kaija added that Mr. Bwaniika formed PDP with the aim to bring change in the country but he has never stepped out of Kampala to move to any village.